The Wilson and The Elm are located on the former site of the Apex building, and are unique in a variety of ways. 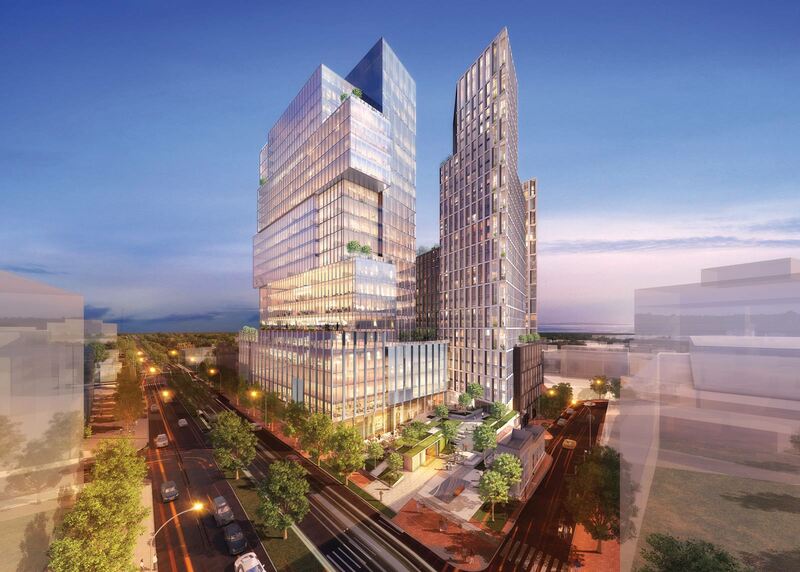 Relative to the newly re-minted Bethesda Sector Plan, this mixed use property features a 350,000 SF office tower and a 575,000 SF residential tower, and at thirty stories will be the apex of the updated skyline. 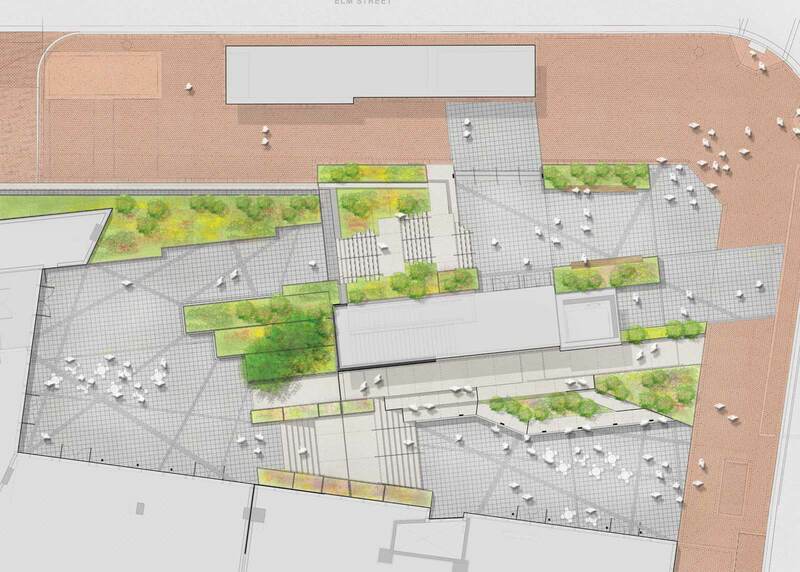 A major new plaza at the northeast corner of the site will serve as a new, multi-modal transit hub with entrances to the existing Red Line Metro as well as the new Purple Line. From the plaza, to a wide ranging program of landscaped terraces, the project will feature close to 25,000 SF of green space.